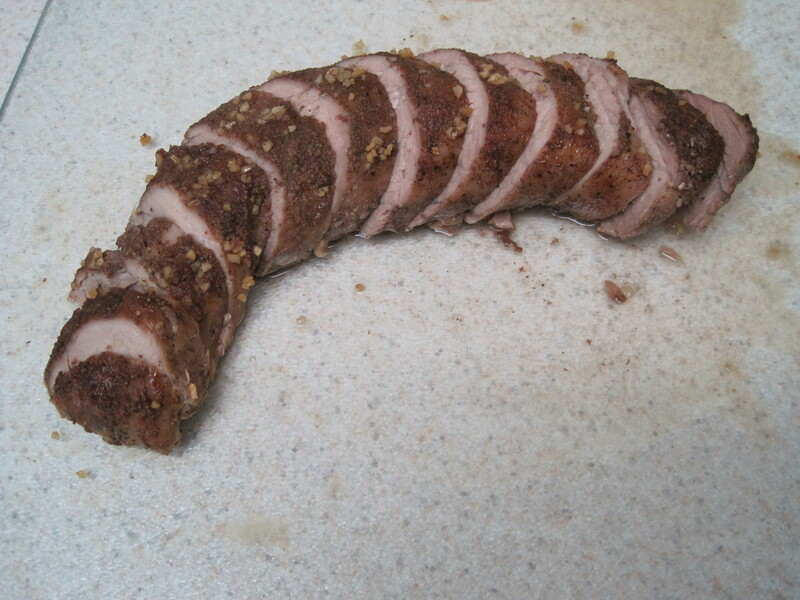 Last weekend I had a pork tenderloin and a jar of coconut oil. My boyfriend didn’t want the usual garlic or barbeque pork tenderloin, so I did a little searching and found this amazing gourmet recipe from The Biggest Loser Recipes. 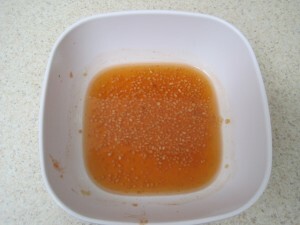 Lightly coat a small roasting pan or ovenproof skillet with Kelapo coconut oil. Set aside. 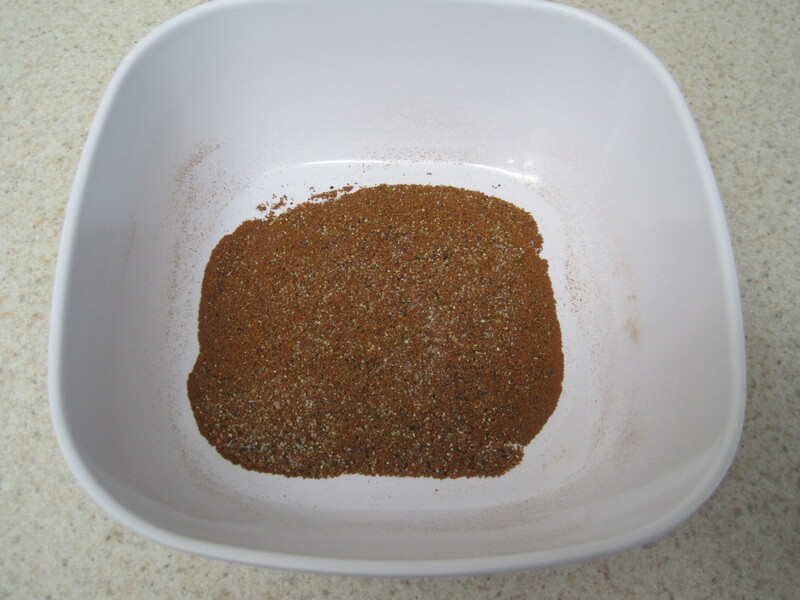 In a small bowl, combine the cumin, cinnamon, salt, black pepper, allspice, garlic powder, chipotle pepper, and cayenne pepper. 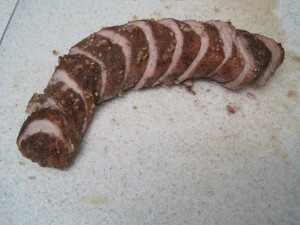 Rub the pork tenderloin evenly with the Kelapo coconut oil. 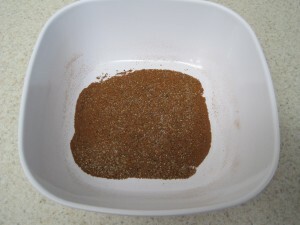 Then rub evenly with the spice mixture until coated. Cover loosely with plastic wrap. Refrigerate for 15 minutes. 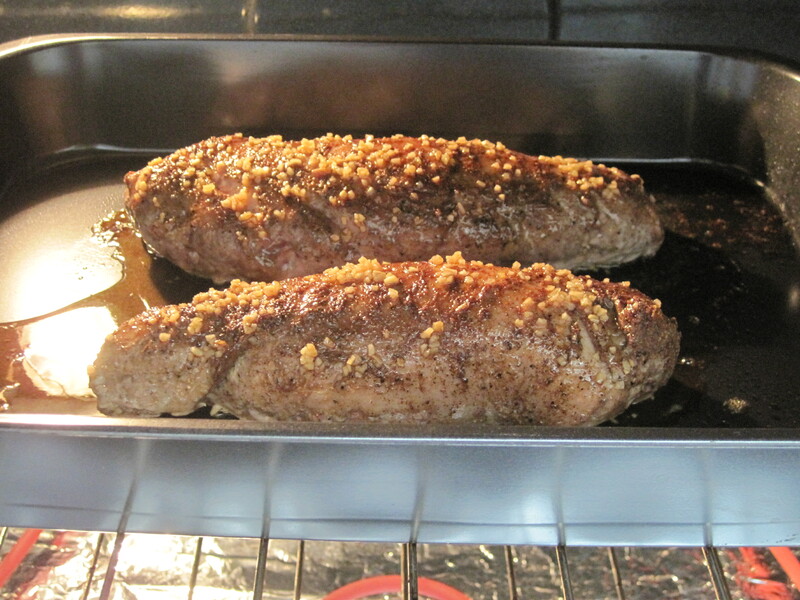 Roast the tenderloin in the oven for 16 to 18 minutes, or until a thermometer inserted in the center reaches 160°F and the juices run clear. Remove from the oven. Cover the pork loosely with aluminum foil. Let stand for 10 minutes. Transfer the pork to a cutting board. Holding a knife at a 45° angle, cut into thin slices. Serve your pork tenderloin immediately with mashed cauliflower and a green veggie. Sweet potatoes are another great option! **Alternately, instead of browning the pork tenderloin in a skillet, you can bake it at 350°F for 40-50 minutes until the center reaches 160°F and the juices run clear. Do not add the honey mixture onto the tenderloin until the last 16 to 18 minutes of cooking. If you love spicy, check out our coconut oil recipe for a Spicy Dipping Sauce!